Super light nitrile foam coating offers a high degree of finger-tip sensitivity, flexibility, dexterity and increases the productivity of the user. Anti-slip coating gives a good grip on dry, greasy and oily objects, with nitrile dots for an even better grip. 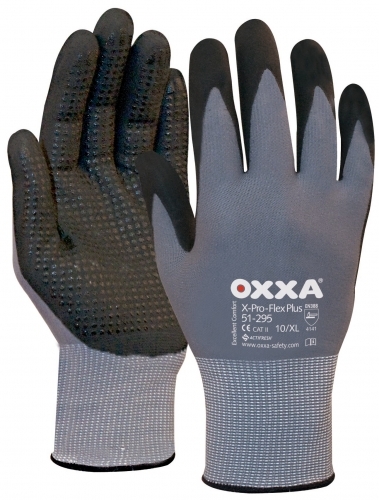 Breathable coating keeps hands dry and cool. Grey/Black. Available in S, M, L, XL.